Cabbage, and yes, we’re talking about the vegetable here, is a great addition for an autumn arrangement. No, but seriously, despite their less than exotic origins, Cabbages have layers of leaves that overlap in a spiral pattern from the center of its head. The leaves can be either smooth or ruffled, open and large or tightly furled and resembling a rose. The alternating leaves can be lobed or wavy and even highly vained. There are varieties that feature a waxy coating on the leaves. And all of those great attributes come in a variety of colors. From the clean and classic white and green cabbage to the fancy purples and reds there’s a cabbage for all occasions. And while the cabbage plant grows really sweet, little yellow flowers, we don’t bother with them in arrangements. The big, bold, and hyper textural cabbage heads are far more our style. Native to Britain and continental Europe, today’s cabbage were developed as a crop way back in before 1000 BC. As a food staple, cabbage made its way around the classical world and was greeted with either great devotion or great antipathy. Great people including Cato the Elder and Diogenes considered cabbage superior to all other vegetables. In Europe, cabbage found great popularity during the High Middle Ages, when other crops were in short supply. From Europe the crop spread to Mesopotamia to Egypt as a winter crop and from there it followed the trade routes and continued to spread. There isn’t a lot of evidence that the colorful crop was used in a decorative manner, but here at Starbright, we can imagine that the purples and greens that last well after most flowers drop, have always been a sight for tired eyes. It isn’t a surprise that at some point, someone started cutting the smaller heads for filling vases. Babe Ruth used to place a cabbage leaf under his hat before each game. The world’s largest cabbage was grown in 1865 in Durham, England by William Collingwood – it weighed in at a whooping 123 pounds! 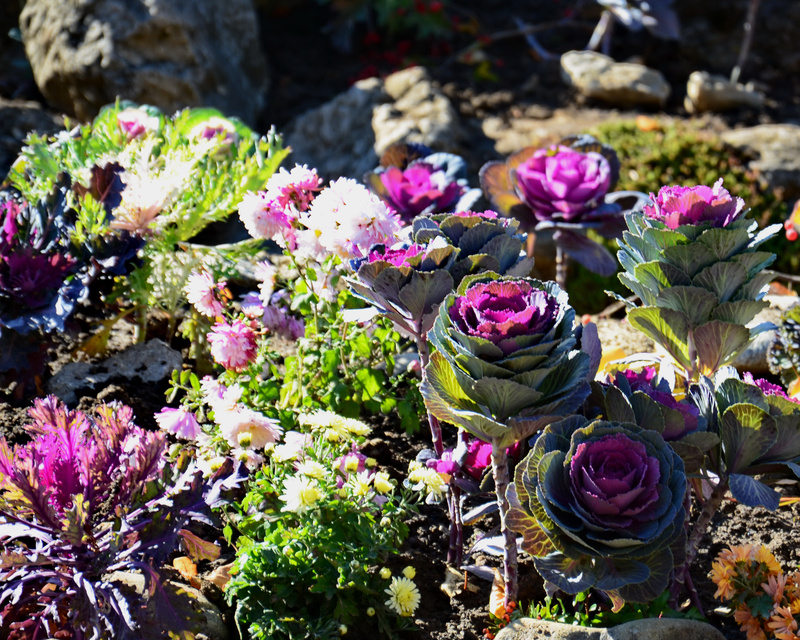 At one time, Russian princes paid tribute not only with racing horses and jewels, but also with potted cabbage plants.